Cost of the service: $160 (123 EUR) for up to 30 days, including the cell phone and it's delivery to you. - up to 30 days of continuous assistance in any issues related to your stay in Ukraine (information, reservations, bookings, finding directions or people, hiring taxis for you, making deliveries, negotiating and communicating with other services' providers for you, and carrying out any errands that you may have). - assistance with translation of your communication with local people, whenever you need it. Just dial the number and ask for assistance! CONTACT US TO REQUEST THE SERVICE NOW! We offer 10% discount to those who request the service 30 days or more prior to their arrival! â–º Your phone assistant in Ukraine is a local English-speaking team member of Discover Ukraine Network, who will be distanced but will remain connected with you by phone all time during your trip. This person will be just one call away from you, if you need to make any reservations, calls or arrangements related to your trip. The distant assistant will do this as quickly as it is possible in particular situation. We will provide you with the contact number of your distant assistant as soon as the deposit is made to us, which can be done by PayPal. â–º You can start using the service as soon as you cross the border if Ukraine. You can use this phone to make any other calls all over the territory of Ukraine, no matter if you call to landline or other mobile numbers. Calling to other phones will be free or very inexpensive. Your distanced assistant will provide you with information about the prices of calling to vartrious providers, if needed. â–º If you would like to make international calls, you will need to open the roaming, which is the matter of a few minutes. But this will be more expensive than making local calls, of course. Talk to your assistant and learn how you can make skype calls or what are the other really inexpensive ways to make calls abroad from Ukraine. â–º Our worker will stay in touch with you 24/7 by phone during the whole time of your trip. This person can check our trip reservations, negotiate with services providers, take care for changes in your itinerary and keep control of your trip arrangements by your request. This way, you will feel protected and safe every moment of your trip. NOTE: late night calls from 11pm to 6am will be charged additionally, at $1 per minute. â–º If you need to use your phone assistant as a distanced interpreter for calls that are longer then 30 minutes, you may have to pay additionally for this service, at the rate of $1 per minute. 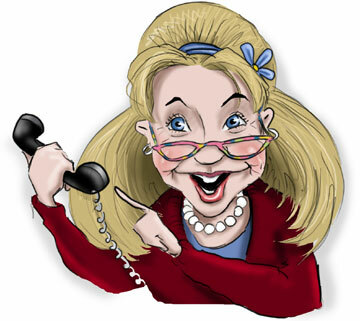 Please, talk to your assistant in advance about the interpreting-by-phone service. We will try to offer good discounts for you in each particular situation. â–º If you would lilke to return the cell phone to Discover Ukraine Network after your trip is over, you can give it back to our service team member on the day of your departure, or you can mail it to us. We will then return you the $25 of the phone value. You should note, though, that the cost of shipping the phone to us will not be covered. Please, do not hesitate to CONTACT US for more information about this service.